Once you have hired the right nanny for your children, you also become an employer and as such take on a number of legal responsibilities. 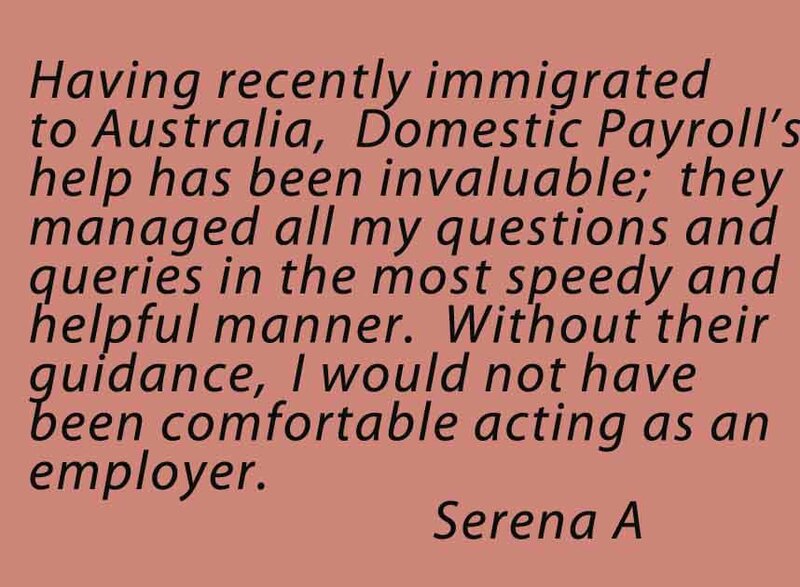 Currently in Australia a carer or nanny are to be processed the same as any other employee, requiring parents to have a good understanding of the basics of employment and tax law whilst working and caring for your family. 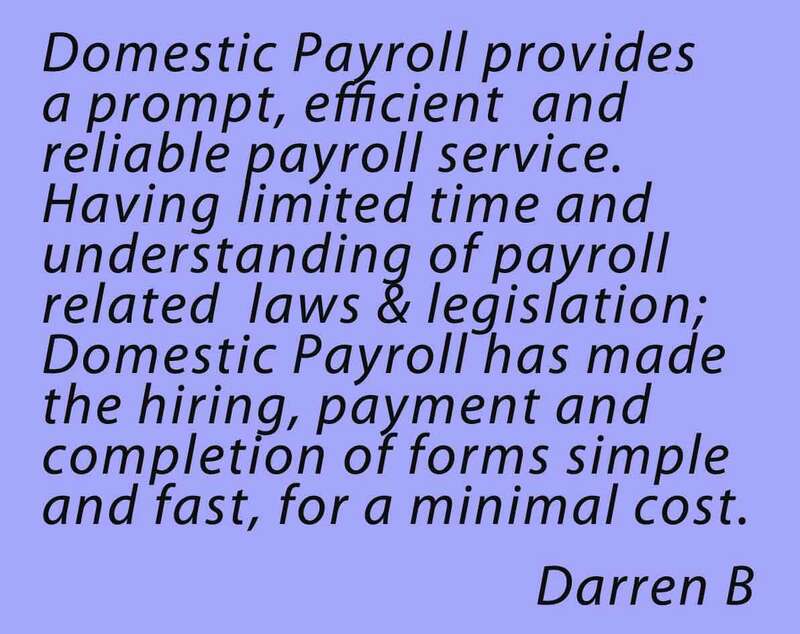 Domestic Payroll acts as a time saving device, taking the pressure and time off from learning and preparing wages, tax, workers compensation insurance and all other obligations. 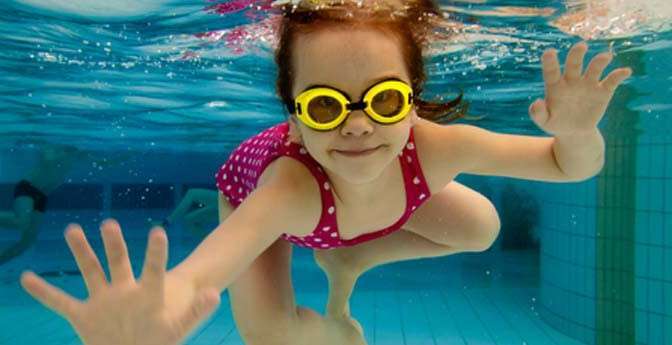 Gold or Gold Extra Nanny Tax Service – is a comprehensive service managing all forms, registrations, paperwork and salary calculations including all end of year obligations such as issuing group certificate and reconciliation requirements. Silver Nanny Tax Service – is a DIY service with all the forms, starting calculations and background information provided tailored towards your specific situation. You process all the ongoing paperwork and calculations. With the Silver Nanny Tax you also receive a six month help desk, where you can call on Domestic Payroll to assist or check your work. Bronze Nanny Tax Service – offers the same assistance as the Silver Service without the 6 month help desk support. 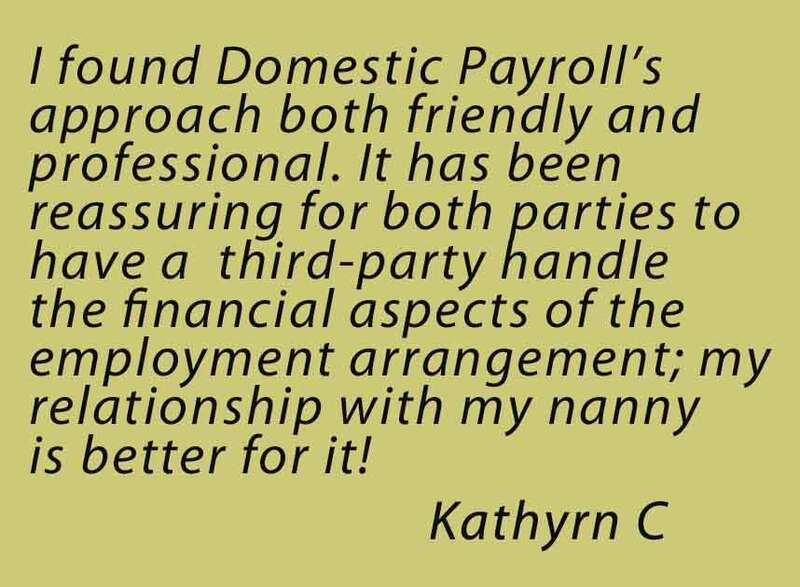 Contact Domestic Payroll to discuss your situation and the service that suits you.